Chillproof design with rust-proof axles ensures reliable performance at temperatures as low as 0ᵒC. 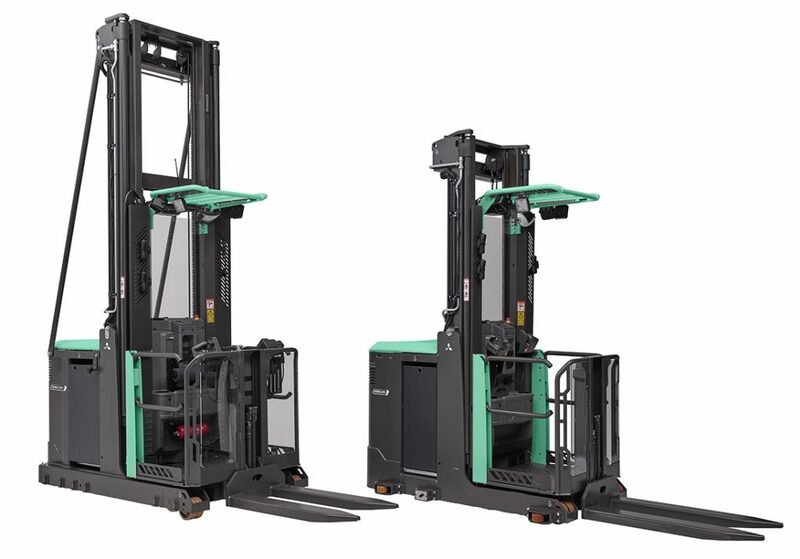 Powerful AC motor means high drive speed and acceleration – even when loaded – plus smooth, quiet, controlled operation, extended shift length and lower maintenance requirements. ECO mode reduces energy consumption by 12% – without compromising on performance. MaxPro side-access gates with automatic sensors prevent unsafe use of truck with gates open at heights above 1200 mm. Engineered to drive productivity, while saving time and money, VELiA EX includes a heavy-duty, 48-volt model which offers an unbeatable 1250 kg capacity. 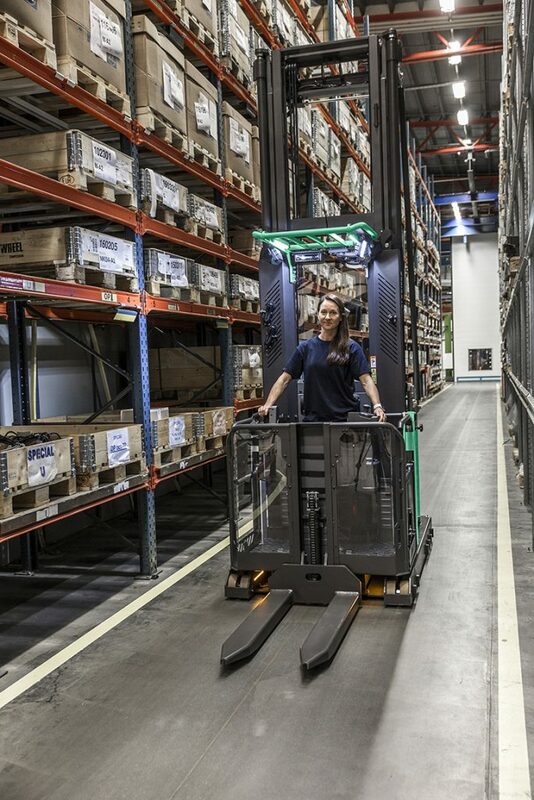 Like every Mitsubishi order picker, the VELiA EX benefits from the crucial features which impress operators and employers alike – as standard. Decades of fast-picking experience have gone into the development of the range’s spacious operator’s compartment. It’s been designed to keep pickers picking – even through the longest of shifts. With its wide entry and ultra-low step height – just 215 mm – it offers virtually effortless access. Easy grab handles offer added security when entering/exiting the platform. To minimise the risk of slips and falls, designers have covered it in a super-grip material. Further protection is offered by VELiA EX’s Operator Presence Sensor (OPS). Set in the platform, removes the need for a dead man’s switch, a common trip hazard. Because OPS covers a wide area, operators have freedom of movement within the cabin – reducing risk of fatigue and delays. Visibility plays a significant role in safe, productive picking. Recognising this, Mitsubishi designers looked for new ways of maximising the operator’s field of vision. This work resulted in the development of the VisionMast and overhead guard. With clear-view forward panels and roof, it extends VELiA EX’s visibility for precise, damage-free operations. VELiA EX’s powerful AC motor ensures high drive speed and acceleration – even when fully laden. An ECO mode allows employers to reduce their energy consumption by 12 per cent – without affecting the machine’s performance. 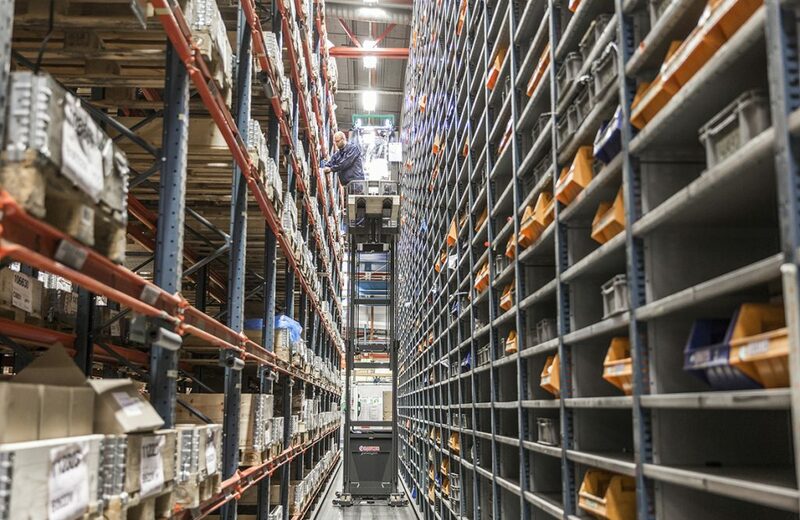 Because the mid-to-high-level order picker’s operation is so smooth, quiet and controlled, VELiA EX owners benefit from extended shift length and lower maintenance requirements. Upkeep is further reduced through easy access to key components, such as the motor. The battery offers exceptionally easy access for quicker changeovers. Further savings are made in this area thanks to a battery discharge indicator which keeps operators continuously informed. 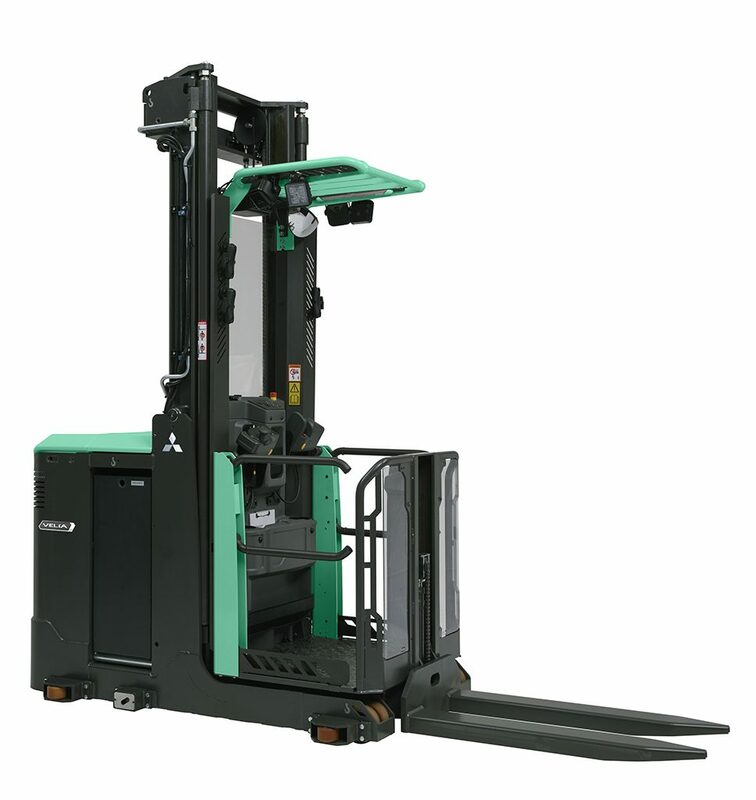 To discover more about the VELiA EX, as well as the rest of the award-winning Mitsubishi Forklift Trucks range, contact Endeavour today.